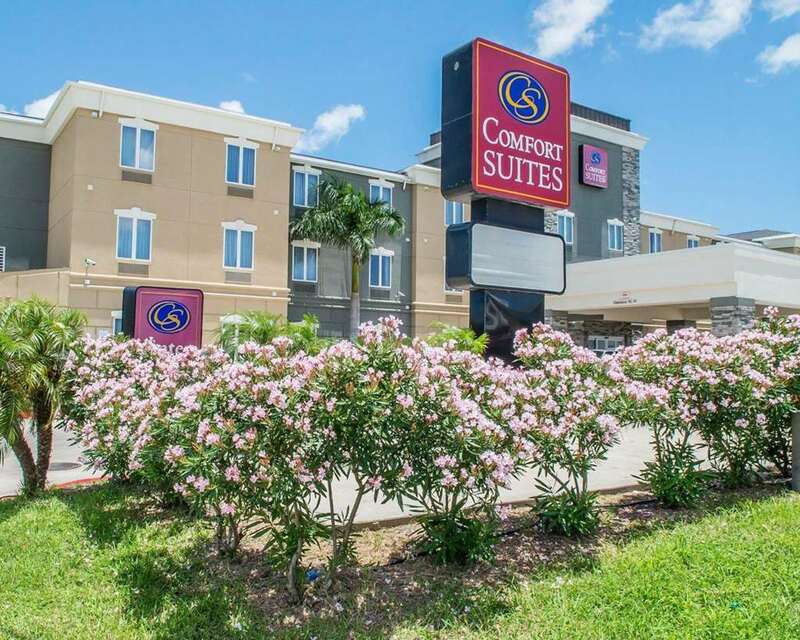 Behind every great day at the Comfort Suites Near Texas A and M - Corpus Christi hotel in Corpus Christi, TX is a great night. Nearby attractions include the Sclitterbahn Riverpark Corpus Christi, North Padre Island Beaches, Corpus Christi Army Depot, Naval Air Station Corpus Christi and La Palmera Mall and The Shops at La Palmera. Hotel amenities include free breakfast, free WiFi, meeting room, copy and fax services, exercise room and more. Enjoy the space you need to spread out in guest rooms featuring flat-screen TVs, coffee makers, desks, irons, ironing boards, microwaves, pillow-top mattresses and refrigerators. Also, earn rewards including free nights and gift cards with our Choice Privileges Rewards program.